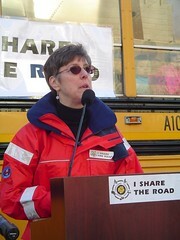 at a Share the Road rally in 2006. Sharon White is PDOT’s pedestrian safety chief. One of the many programs she oversees is an ongoing “crosswalk enforcement action” campaign. Working with the Portland Police Bureau, White and staff at PDOT identify high-risk intersections and then employ decoys to walk across them while officers stand by. White is so committed to her work that often, she herself takes on the role of crosswalk guinea pig. A few weeks ago, during one of the enforcement actions, she got more than she bargained for. It is rare that I get scared during a Crosswalk Enforcement Action because I an generally very cautious and very alert. However, the last portion of this Crosswalk Enforcement Action did frighten me. As usual, I proceeded into the crossing area as a pedestrian showing intent to cross and provided adequate time for the approaching eastbound vehicle to stop. I worked to make eye contact with the driver and when I finally got a clear view of the driver’s face could tell that he was looking at the storefront of the adjacent building and did not appear to be aware of me in the crossing. At about the same time, the driver’s vehicle veered a little to the north and then a little to the south pointing right at me. Since I had no indication that the driver was going to slow down or stop, I jumped out of the crossing and back onto the sidewalk. The police officer working on the Crosswalk Enforcement Action with us, put on his siren and headed onto Division to stop the driver and initiate a conversation about Oregon crosswalk laws. Instead of slowing down, the driver increased his speed, took the first right turn and then an immediate left into a dead end driveway where the police officer caught up with him. As it ended up, there was a warrant out for his arrest for hit and run of a pedestrian! In addition to receiving 4 tickets, he was sent to jail. Thanks Portland Police Traffic Division for a job well done! And thanks to you Ms. White, for your dedication to making our streets safer. For more on PDOT’s pedestrian and traffic safety programs, visit this page on PortlandOnline.com. I was almost hit by a woman in a late 80’s burgundy Olds the other day on Ankney. She blew(not rolled through, but flat out blew( a stop sign and we both braked/skidded to a halt with me about two feet in front of her grill. The car had about four kids crammed into the back. She shrugged and mouthed “I’m sorry”, so I could tell she would feel bad for a minute. People like this are out there driving every minute of every day. Thank you Sharon for the dangerous and valuable work that you do. I’m glad that your reflexes and intuition were on-task. I’m with you Bjorn. It also would help eliminate confusion when people are standing at corners waiting for buses. And it’s good to see that they’re doing enforcements at non-marked crosswalks. Now if we could only get more cops to lead by example at unmarked crosswalks/intersections. That is scary, as a pedestrian, cyclist and occasional driver I have to say some of the cross walks in this town are unsafe for all. You add drivers like that and there is bound to be trouble. This is the kind of enforcement I am happy to have the traffic division doing. I’m always appalled by the crosswalks on Powell and other busy streets. As a ped they are scary, as a driver you have poor sight-lines at night and as a bike, wait I’ll never ride down Powell! It just seems like there must be a better and safer way to have crossings. I wish I had a cop following me around to chase down every bad driver who endangers my life. He would be a busy guys. It seems like 80% or 90% of drivers don’t know or care about crosswalk laws. This type of encounter at a crosswalk is not uncommon in my experience. I like the hand signal law too. Unfortunately it still wouldn’t do much at those death-trap crosswalks like at SE 12th and Powell that cross three lanes of major traffic. Not a fan of this style of enforcement. Unless the pedestrian/guinea pig can judge the speed of the oncoming traffic correctly and then step out knowing that they are giving the driver ample time to stop safely, this could be considered a sting operation. Much the way red light cameras are used on intersections where the yellow light is too short to allow a vehicle traveling at the posted limit to stop safely or negotiate the intersection before the light turns red. There’s a responsibility on the part of pedestrian to make the correct call on when it is safe to step out into traffic, cross walk or not. I am glad the driver was arrested and that Sharon is safe. I run into situations like this with reasonable frequency in the Greater Seattle area. It gets bad enough that I am strongly considering mounting a camera to my helmet that has a 2 minute loop feature. One button press will save the last 2 minutes to storage. How the hell have we managed to erase decades of safe street crossing rules with this nonsense. we used to teach kids to look both ways before crossing the street. Now people, kids and adults, just walk right out into traffic with the arrogance of these silly crosswalks laws. People should show an interest in their own safety, and actually make sure it is safe before crossing the street. I am a cyclist, runner, walker, and I have never seen sillier behavior than watching people walking out into the street without making sure the way is clear. another way to look at it is that we all need to begin to re-assert our rights to use our public roads without having to constantly cower down in fear of our lives. I’m one of those people who will enter into the roadway aggressively (and safely of course) as a pedestrian because I refuse to sit back and wait for the perfectly safe opening. I expect my fellow citizens to recognize my presence and to be courteous and law-abiding enough to give heed. I don’t think that’s asking too much, not do I consider that “silly behavior”. Hey folks. A question: Is a person on a bike (on the seat, riding) waiting to cross in a marked, white-striped pedestrian crossing considered a pedestrian??? I always stop for people walking and usually for a bike RIDER waiting to cross, but what does the law say or infer about cyclist waiting to cross in a pedestrian crossing while sitting on a bike. PLEASE, cyclist hot heads, be kind to me. This is a legit question. I’ll check back this afternoon and see if anybody has a response. It is silly because the car will win everytime. i have been hit by a car before, giving me intimate knowledge. i love giving rights to pedestrians, cars are coffins. I have just seen too many people cross the street without even looking to see if I am coming. “The car will win”? Yeah, talk about victory. Ha! try crossing any of the “marked” crosswalks on MLK aggressively. I dare you… Ironically “rush” hour is the safest because all lanes are turned into a parking lot. yarrum (#11) – A person walking along pushing a bicycle is a pedestrian, and a person riding a bicycle on the roadway is a vehicle operator. A person riding/sitting on a bike at a crosswalk, who intends to use the pedestrian crossing signals, is a wierd hybrid. If they want to use pedestrian facilities, they’re required to act like a pedestrian (wait for the walk signal, move at no faster than a pedestrian speed, and so forth). However, some signals are not easily triggered by bikes, so bicyclists (the “vehicle operator” sort and not the “pseudo-pedestrian”) hit the pedestrian crossing button in order to activate the light, even though they intend to cross as a vehicle. What does this mean for drivers? 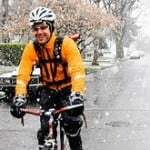 If the bicyclist is acting like a vehicle operator (i.e. in the street, stopped at a stop sign, waiting until it’s safe to proceed), treat them like a vehicle (i.e. don’t arbitrarily stop if you have the right-of-way and they don’t — that confuses people). If they’re acting like a pedestrian (i.e. on the sidewalk, waiting at a crosswalk), treat them like a pedestrian. Yes, there’s a huge grey area, but the bottom line is that the best thing we can all do is to communicate our intentions to other road users as clearly as possible and act predictably. When I walk to the grocery store, I always check to see if there is an abandoned shopping cart at the nearby bus stop. If there is, I walk it back to the store. At the marked crosswalk near my neighborhood grocery store, I make certain the on-coming driver has plenty of time to stop, but I find that when assert myself while pushing a cart, the drivers always stop. Not so when I’m not pushing one. When I drive to the store, I regularly grab a cart in the lot and push it down the middle of the aisle (assuming there are not sidewalks) and into the store. Again, motorists tend to give me a wide berth and slow down. I suppose they fear damage to their cars if they hit a cart rather than a pedestrian. Try it and see if it produces the same reaction for you. Plus, you’re doing a good deed by returning the cart to the store with virtually no inconvenience to you. It’s one thing if drivers aren’t paying attention, please stay alert! However, it’s another thing if a pedestrian is dumb enough to cross a street in front of moving traffic thinking the law is going to help them. What happened to looking before you cross the street? Unmarked crosswalks also cause more car accidents. Why don’t both parties just practice more common sense and be a little more alert? I also don’t like the idea of your entrapment game. It’s a waste of time. There is a ped/bike overpass at 9th and SE Powell. No need to cross terrible Powell again in that area. Try it, your mind will feel free. The hand signal rule would have been a HUGE boon to cyclists. Just pop off your bike, put your hand out, and (magically) the car will stop (most of the time). Cant quite understand why cyclists didn’t support that in force. This is my biggest irritation with drivers. I’m walking with my wife and we are trying to cross the street only to have a car fail to yield. Could we start filing citizen initated traffic citations for people that do not yeild? I’d start filling them out by the handful if it was possible. Legally, a cyclist using a crosswalk is treated as a pedestrian, and has the right of way over cars (or bikes) traveling on the roadway. I concur, and I have to add that I have little faith in a hand signal actually saving my life in such a situation. What if the police hadn’t been there? I maintain that the only way to make the streets safer for peopls is to make it harder — less attractive and more expensive — to drive cars on them. Ali – I can’t seem to find the legal ORS “jargon” to support stopping for bike riders in the pedes crossing. I was just going though the ORS pages looking for this. What do you base your opinion upon? I’m still digging. THANKS!!! When walking my bike, I use it as an impromptu replacement for a hand signal by putting it out in the crosswalk ahead of me. A hand signal would be far better. Found it!!! Or found it??? (d) Operates the bicycle at a speed greater than an ordinary walk when approaching or entering a crosswalk, approaching or crossing a driveway or crossing a curb cut or pedestrian ramp and a motor vehicle is approaching the crosswalk, driveway, curb cut or pedestrian ramp. 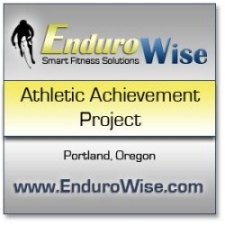 This paragraph does not require reduced speeds for bicycles at places on sidewalks or other pedestrian ways other than places where the path for pedestrians or bicycle traffic approaches or crosses that for motor vehicle traffic. (2) Except as otherwise specifically provided by law, a bicyclist on a sidewalk or in a crosswalk has the same rights and duties as a pedestrian on a sidewalk or in a crosswalk. OK, so, what does this say? I need another coffee… I think it says if you are safe crossing on a bike in a marked crosswalk you have the right of way. So cars should stop for prudent cyclists at a cross walk. Whatta ya think? Regardless of how you feel about “stings” of this nature, the fact is THEY WORK. I used to live near a road very like Powell, with many lanes of oblivious fast-moving cars. It was almost impossible to cross without a light, and the lights were very far apart. A few weeks of crosswalk stings, and now cars ALWAYS stop for you. The threat of a $300+ ticket got drivers’ attention. the basic rule now is that bicycle operators have the same rights as pedestrians in marked crosswalks…but bike operators must only move at “pedestrian speed”. i just got off the phone with Ray Thomas with more information on the upcoming ped. hand signal bill. It’s very interesting. watch for the story soon. Jonathan I completely agree with you. I walk aggressively and ‘stare down’ the drivers (depending on speed). There’s an interesting phenomenon that when someone looks at you, you become aware of them. Only the most horrid driver will continue driving right towards a person in front of them. I hear lots of drivers say that it’s hard for them to see pedestrians. However I can see pedestrians (and pets as well) on even dark nights. I also want to repeat that we bike riders should always show respect to pedestrians. There are a few good reasons the hand signal isn’t a great option. What is the pedestrian who is carrying two bags of groceries supposed to do? What about people who don’t have hands? I don’t mean that as a joke … we’re not all upright, easily mobile, two-hand-having people. What about someone who is paralyzed in a wheelchair with no functional hand use to speak of? Or a young mother carrying an infant in one arm and trying to hold her toddler’s hand with the other? Should she drop the toddler’s hand as they wait on Powell for cars to stop? I wouldn’t. There are far too many realistic examples of ways that law would fail some of the people who would otherwise benefit from it most. I honestly don’t believe it’s asking too much of drivers to stop whenever they see a pedestrian at a crosswalk. There are traffic-calming benefits even just from drivers slowing down to see if that person on the corner is waiting to cross. I’ve waited at crosswalks for up to a minute and a half while car after car after car trains through, DOZENS of people ignoring the law. And this is as a pedestrian! While I’m on my bike, I assume others are viewing me as operating a vehicle, and if I want to be seen as a pedestrian I hop off and push my bike so as to offer no uncertainty. It’s nice that for once the cops make a sting on drivers failing to stop or yield, and not just us cyclists. #30 The Pedestrian hand signal would not eliminate stepping into the crosswalk as a method of asserting your right to cross, it would simply add a second option of raising a hand while still standing safely out of the traffic lane. So those people, along with anyone else who wasn’t familiar with or didn’t want to use the PHS option would just keep doing what they are doing now. Thanks Martha R (#16) for your excellent response. I was struck a few weeks back crossing MLK. I had a green light and a Walk signal. He was turning left onto MLK with the green. It was daylight, not raining, and I had my dog with me. The guy flat out looked through me until I threw my coffee at his windshield. He stopped when I had my hand on his hood getting ready to (try to) vault it and had thrown the dog leash free so she could try and evade him too. He wasn’t on the phone, he wasn’t high, he just wasn’t seeing me. Now I cross “illegally” down the street where I can stand safely (ish) on the raised median in the middle of MLK if I have to and where I don’t have to worry about traffic coming at me in 4 directions instead of 2. No hand signal or law would have helped me. Keeping your head on swivel is your best defense against idiocy. I understand that, but I also see that as being a slippery-slope toward drivers completely IGNORING the presence of crosswalks and feeling justified in doing so if a law like this is passed. “Well, I didn’t see a hand up, so I’m going …”, regardless of the abilities or situation of the person waiting to cross. How many drivers running in a pack on Powell would look up for a second, see no hand, then just keep going? Who would be driving carefully enough to notice that the figure standing at the crosswalk is a little old lady who is using both hands to grip her walker? Probably very very few. Drivers need to obey the laws that exist, and we need to better enforce those laws. Adding a little hand-jive to the duties of pedestrians isn’t going to improve the situation. I would guess that a small percentage of all pedestrian/car collisions are the fault of the pedestrian, and I would bet a great majority of them are due to driver error and/or speeding. Assuming my guess is at least somewhat correct, the rational way to fix a problem like this is to fix it where the problem lies … with drivers. Even if we passed THAT law and pedestrians everywhere did all of those things, I think most drivers would still ignore crosswalks. This is not the fix we are looking for. i’ve just posted another story with more details on the effort to pass a pedestrian hand signal bill in 2009. The hand signal will be a much better option at crosswalks that are located at a city bus stop. There is one in particular on Barbur that causes problems for drivers who can’t quite tell who is just waiting for the bus and who is trying to cross the street. …which is why bus stops should never be placed at the corner. Why does TriMet continue this practice ? It’s a pain for all involved. I have to say that the crosswalks here are sometimes very confusing. They are very often near bus stops (like mentioned above), so it is hard to know whether someone is sticking their head out, waiting for the bus or waiting to walk across the street. I am a big fan of the hand signal, as this makes people’s intentions clear. Obviously, when I am cycling, it is much easier to slow down and figure out people’s intentions than when I am driving, but it is still sometimes confusing. And on Williams, I’ve had cyclists almost slam into the back of my bike when I slow down for a pedestrian to cross (and even when the cars to their left have been good and stopped as well!). When I was in England, I was shocked at how cars just automatically slowed down at the “Zebra crossings” and no one even really looked before they stepped out onto the street, as it was expected cars would slow down. Peopoe are much more aware and conscious of the crossings there. I had to warn my husband to NOT do that here, especially at busy intersections like MLK. The flashing lights DO help, but I know that is expensive to have at every crosswalk. Like everything else, awareness on BOTH parties is helpful. Most cars are not going to run you down if you step out slowly and signal that you are about to cross. Back when I was bike commuting I would ride through 4 police jurisdictions, one of which I was out of almost as soon as I started riding. Two of the other three the police would shadow me as I went through because as one officer put it when I asked him why he was following me “Dude, you are like an idiot magnet, everybody wants to have this beat.” Unfortunately the place I was hit was not in either of the two jurisdictions that the cops treated me as idiot bait. I think if the cops in my town had been like the cops in the other two towns I rode through I would not have been hit. 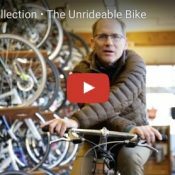 As has been mentioned here, a great source of bike law info is Ray Thomas, and there’s multiple interviews with him here in the KBOO bike show archives: http://www.bikeshow.portlandtransport.com/. I was digging through these shows (all the way back to 2001! It’s like a Portland bike culture time machine) and heard at least one spot featuring Ray that was so information-rich, it was like having knowledge downloaded into my brain, Matrix-style. Much of which has been related here already, especially the sort of gray area in which bicycles operate as pedestrian-vehicle hybrids, using both the street and crosswalks. Awesome that the d-bag was locked up, at least temporarily. I wish there were laws that prevently people like that from ever driving again. There’s no excuse for not paying attention. Driving a car is like aiming a loaded gun at someone. If you shoot someone, it’s no one but you that pulls the trigger. Nice to see a token effort by the PPB to do something about the blatant disregard for pedestrian’s rights. There has been way too little enforcement of the law. Instead of using Sharon, some Portland cops should be the “guinea PIGS”. Maybe then it’ll be safe to cross Hawthorne at 38th. Remembering that both cyclists and peds are the ‘vulerable users’ of roadways/paths/sidewalks. Pedestrians are often intimidated by cyclists overtaking, out of nowhere. It is not to be forgotten we have more in common with pedestrians than car drivers, and need to make sure we deal with pedestrians with courtesy and caution. I find it unconscionable that we need to have ‘stings’ to protect pedestrian rights. It should be a no brainer. At the same time,lets be careful to announce ourselfs before we overtake a ped. And remember a ped in a crosswalk needs stopping for, just like a driver should. We are in this together. It’s great that there’s a crosswalk enforcement action. Meanwhile, all day long every PPB officer everywhere else in the city continues to do nothing when these violations happen 2 feet in front of their faces. Here’s my question for you. When you’re driving and you come across a situation where you are required to yield to a pedestrian, do you do so even if it’s “silly” or do you go along your merry way because you (in a car) will win every time? How is this not simply a threat of violence? So often it seems to me that when drivers insist that bikers and peds defer because they are at a disadvantage (duh), they do so in order to justify their own anti-social behavior. It’s not unlike that bike thief who claimed that he was stealing a bike to make people aware that their bikes can get stolen. What a bunch of self-centered cr*p.
When you’re riding and you come across a situation where you are required to stop for a traffic control device, do you do so even if it’s “silly” or do you go along your merry way because you think that you can run that traffic control device safely? I find it interesting that many on this site scream law enforcement one second then claim they know better than the laws the next. Or even better point out the lack of adherence to the law by one group to justify their lack of adherence to the same law. Don’t expect much in the way of respect on the road from the other users, pedestrians included with this type of attitude. doesnt one have to stop for any pedestrian crossing the street when they dont have a traffic signal to aid them?? As far as I understand it, drivers are only required to yield to peds at crosswalks (marked or unmarked), which exist mostly at intersections. If a pedestrian wants to cross mid-block, less than 500 ft from a crosswalk (or cross against a signal), it is called jaywalking and the only reason a driver would have to stop would be to avoid running them over. On another tangent, how would pedestrians get traffic in a second lane or traffic coming from the pedestrian’s right on a two-way street to stop? It seems like a hand signal might work OK for getting drivers in the near curb lane to notice that you want to cross and they might stop for you, but what about everybody else? Once you’re off the curb into that near lane, it is merely a foot it the door to begin negotiations with drivers in the other lanes and get them to stop as well. Re: Enforcement. If you pay attention to what people are actually saying when they’re “screaming,” you’ll find that they’re mostly asking for a sense of proportion from enforcement. A perfect example would be that a week after Brett Jarolimek was killed by a driver who did not yield to him, where were the cops? Were they at that intersection doing any sort of enforcement? Nope, they were at Ladd’s Addition, ticketing people for rolling stop signs at an intersection where there have been NO reported collisions. 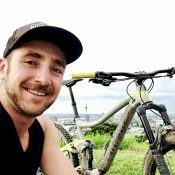 As “luck” would have it, while they were doing that, another cyclist was hit where Brett was killed. Or another example of our “screaming” might be pointing out how ludicrous it is that a cyclist rolling a stop sign is fined the same amount as the driver of an Excursion running a redlight. Just crazy to point that out huh. Anonymous (#50) – This is true, but the cycling “community” isn’t so unified – many of us *do* stop for TCDs, and regardless of whether or not any given one of us does, that doesn’t absolve anyone of their responsibility to follow the law. No one gets a free pass to infringe on the safety of others because someone else out there is failing to obey the law. The reason why we expect respect on the road is because we’re all deserving of it. Sure, some people will take advantage of that and work the system, but should we be punishing everyone for that? A little common sense would go a long way in crossing a street. In my 50 yrs. I have never come even close to getting hit by a car. Pretty simple really- just don’t walk out in front of them when they are moving in your direction, don’t stand where they might want to go, look both ways, hold your daddies hand, don’t start asserting your rights to cross. I varely rarely see a bicycle yeild to pedestrians. I don’t hear anyone screaming “tickets” or “police” about that. Double standard? bikes hate cars? Jim, you are flat-out wrong. (a) Suddenly leaves a curb or other place of safety and moves into the path of a vehicle that is so close as to constitute an immediate hazard. (b) Fails to yield the right of way to a vehicle upon a roadway when the pedestrian is crossing the roadway at any point other than within a marked crosswalk or an unmarked crosswalk at an intersection. (c) Except as otherwise provided under the vehicle code, fails to yield the right of way to all vehicles upon the roadway. With the above in mind, “…Midblock crossings are a fact that planners and designers need to consider: people will take the shortest route to their destination. Prohibiting such movements is counter-productive if pedestrians continue to cross the road with no protection. 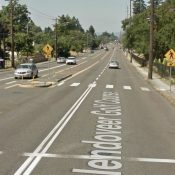 It is better to design roadways that enable pedestrians to cross safely…” (full article: http://www.oregonpedestrianrights.com/?page_id=132). ORS 811.028 Failure to stop and remain stopped for pedestrian; penalty. (E) Less than six feet from the lane into which the driver’s vehicle is turning, if the driver is making a turn at an intersection that has a traffic control device under which a pedestrian may proceed as provided under ORS 814.010. In-effect, the LAW says that if I’m a pedestrian in the road, crosswalk or not, you stop, period – end of debate. Keep in mind, that the pedestrian may have entered the roadway to evade an attacker, pursue an assailant, or alert drivers to a situation ahead. Are you going to just gas-it, and scare or run-over “…that jerk in front of me…”, or instead give them the benefit of the doubt, and try to safely slow/stop and THEN evaluate the situation? Personally, I’d rather be rear-ended while short-stopping for someone who just walked into my travel lane…instead of mowing them down. Worst-case, if the pedestrian tried to flee the scene of an accident they caused, then I’d have cause for a citizen’s arrest; ORS 164.345, ORS 814.040 & ORS 161.205(5) appears to effectively allow me to chase them down and detain them until a peace officer arrived – don’t want to get into a physical confrontation? Just tase the fleeing pedestrian. If you end up wrong, then you’re in for a boatload of legal headaches, but at least you didn’t end up mowing someone down w/ your vehicle. Maybe you don’t hear anyone “screaming” about it because it isn’t the subject we’re discussing. If you’re at all competent with this newfangled internet thing, you can find any number of threads here and elsewhere discussing bikes and their behavior. Now how about not using “that one dude you saw blow a stop sign” as a justification for endangering the lives of lawful pedestrians and bikers. It’s despicable, selfish and illegal, and ***deleted rest of sentence. threats of violence are not tolerated on this site. thanks***. So which is it? does a jaywalking pedestrian forfeit their rights or are vehicle operators required (legally) to yield? My point was that if a pedestrian is hit while jaywalking, the legal fault may be the pedestrian’s, but from a moral standpoint, no driver should intentionally run down a ped just because the driver isn’t legally obligated to yield to jaywalkers. seem to apply only at crosswalks. Note that the ped must be “proceeding in accordance with a traffic control device…or crossing the roadway in a crosswalk..AND” be in any of the locations subsequently described. I think the word “and” implies both conditions (crossing in crosswalk, and being in a particular lane) must be met to satisfy the requirements of this law. All that means is that if a ped is crossing the street outside of a crosswalk, marked or unmarked, and is not obeying some other traffic control device, and they are hit by a vehicle, at least some of the fault will be theirs. Again, legal and moral obligations are different, and no vehicle operator should run down a ped simply because they might have some legal wiggle room due to the ped crossing illegally. Right biciclero, not crossing at a crosswalk is called jaywalking and is against the law. When an intersection is controlled by lights, crossing against the signal is jaywalking. Pedestrians can and do get ticketed for this. But ANY intersection is a crosswalk, marked or not. My understanding is that if the pedestrian is starting from my left, I don’t have to stop until they are more than half of the way across the left lanes. I don’t understand what is changed by the proposed hand signal law. I mean, is it just defining the hand signal? Is it just saying, for the record, that’s what that means so that no one can say, “I didn’t know what he was doing.”? Because in my opinion, if I make clear that I want to cross and I am in a place where it’s legal to do so as a pedestrian, a vehicle is legally required to stop for me, yes? And I believe this is true whether I step out into traffic or use a hand signal or just stand at the edge of the curb looking impatient. As a driver, if I see a pedestrian on the curb, I slow down, and if they look like they want to cross, I stop, if they are staring into space or not paying attention, I continue. But I try to always at least slow down. As a pedestrian, I get seriously annoyed, especially if I have a small child holding each hand, and the cars just zoom by. A vehicle must allways yeild to a pedestrian in the street whether or not they are in the crosswalk or whether or not they are in the road legally. 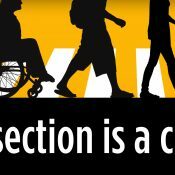 A person can not walk out into moving traffic legally even if they are in a crosswalk. They must still do so as to not endanger themselves or traffic. However once they are out in the street the traffic (bicycle included) need to yeild to them. Just because traffic needs to yeild to them, being out in the middle of the block illegally does not give them legal rights though which I gues is what you are after. They do have that protection in crosswalks. I guess there is a lot of confusion and debate on new laws about stepping out into traffic to make cars stop for you. Do not EVER threaton me with violence again. People like you are what created the contempt for bicycles. I apologize for letting Mr. Mulvey’s insult and threat of violence toward you get past my moderation. I have edited his comment. Please keep things civil folks. Without respect for one another, everything that has built this site up will break down. People driving motor vehicles always have to give the right of way to pedestrians. This doesn’t though, relieve pedestrians from the responsibility of using good judgment about where and under what conditions it’s safe to cross a street. Pedestrians don’t have to wait until traffic has stopped moving before entering the street, but they’d better be very certain traffic is actually slowing and going to stop before doing so. The grade school/kindergarten mantra ‘Stop, Look, Listen’ should be good preparation for determining whether conditions are right to cross. I don’t seem yet to have read anything that would be a really strong need for the pedestrian hand signal law people are talking about. Motor vehicle operators already seem to acknowledge such signals. Why do people think such a law is necessary? Are they presently noting many experiences where a pedestrian with hand raised, attempting to cross a street is being ignored by vehicle traffic. I regularly use a hand signal to indicate intent to vehicle operators that I’m crossing the street, and it makes all the difference. Often the vehicle operator sees you, and fully intends to stop, but they’re just approaching the intersection and you, the pedestrian, just swiftly enough that you can’t be sure. Raise the hand and watch a dramatic braking action take place on the part of the vehicle driver. Movement of signaling arm increases pedestrian visibility too. It was not a threat of violence, it was a threat of self-defense. If your site is to be a haven for people who believe that they can run pedestrians or bicyclists down with impunity, I will not shrink from informing them that they may get as good as they give.